Research provides the foundation for all that happens at the Florida Museum and University of Florida. 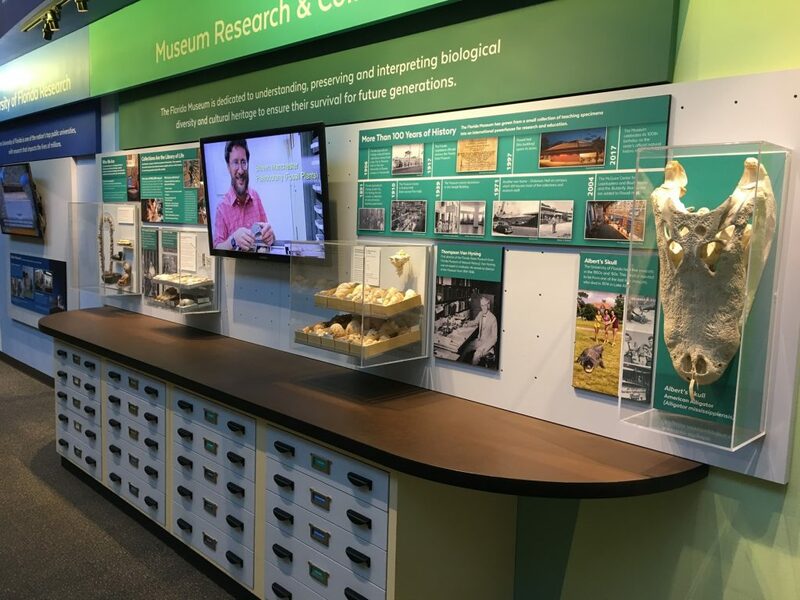 This exhibit spotlights current UF initiatives in the science, technology, engineering and math fields, and celebrates the history of the Museum and its world-class collections through photos, discovery drawers and video. The exhibit also includes changing stories about UF and Museum research projects. Students in the UF Department of Agricultural Education and Communication play an integral role as they film, edit and produce videos featuring some of UF’s most interesting discoveries and research. The Museum is more than 100 years old, and has been at UF since 1906. 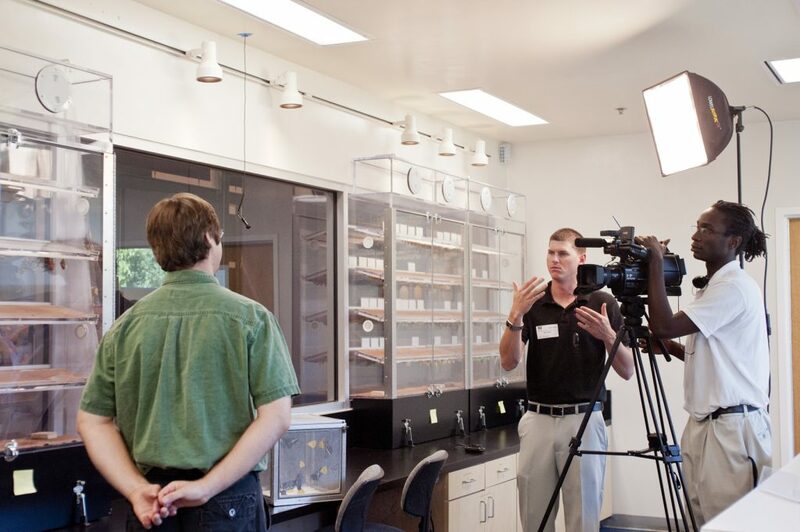 Learn how it has grown from a small collection of teaching specimens into an international powerhouse for research and education. 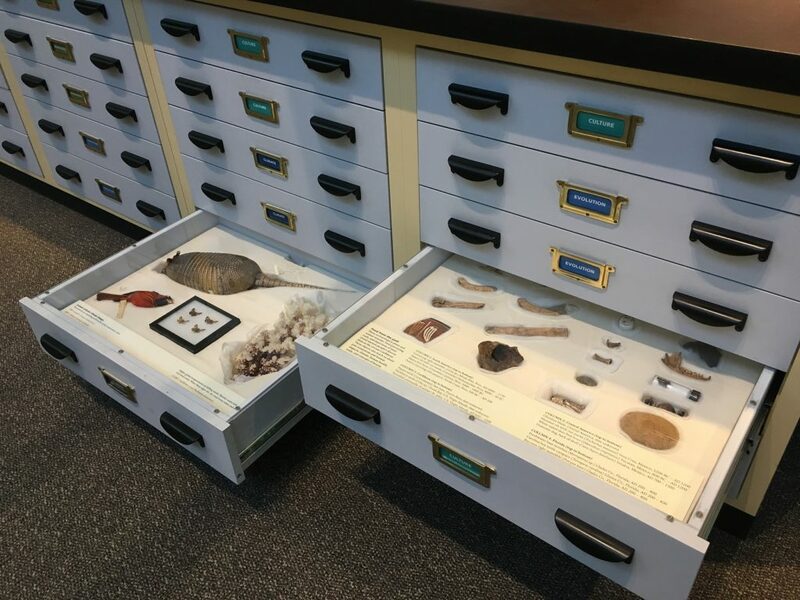 Open drawers to view objects from the Museum’s collections and the information they provide about biodiversity, climate, conservation, culture, evolution, health, invasive species and sustainability. 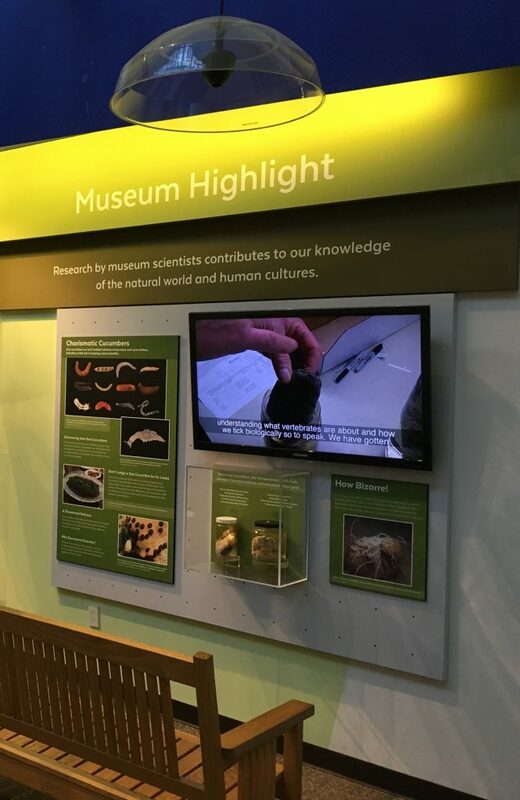 Discover more about Museum research and how it contributes to understanding the natural world and human cultures. The Florida Museum is the largest natural history museum south of the Smithsonian, and its collections, staff and facilities make it the largest university-based natural history museum in the country. UF is a leader in research and discoveries, improving the lives of people throughout the state, nation and world. The University of Florida used live alligator mascots in the 1950s and ’60s. See the skull from one of the last live mascots, which died in 1974 in Lake Alice. Florida has more non-native amphibians and reptiles than anywhere in the world. A 20-year Museum study found 137 non-native species were introduced to the state between 1863 and 2010. As of 2014 this number has climbed to nearly 170, with at least 63 now well established.